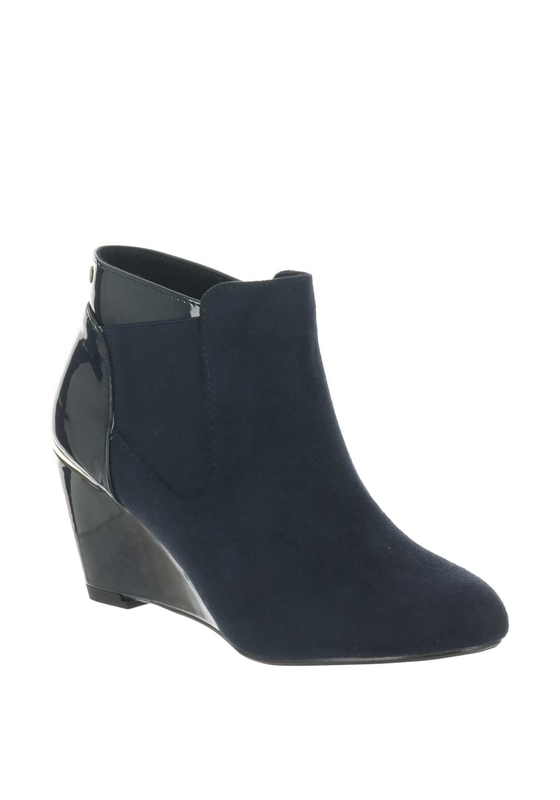 Make your stylish mark with every step in the Buckland faux suede Chelsea boots by Kate Appleby in navy. Featured with the classic elasticated cuffs and contrasting patent panelling on the cuff and wedged heel. They are finished with a gold trim on the back and has the signature red sole for a lush designer look.